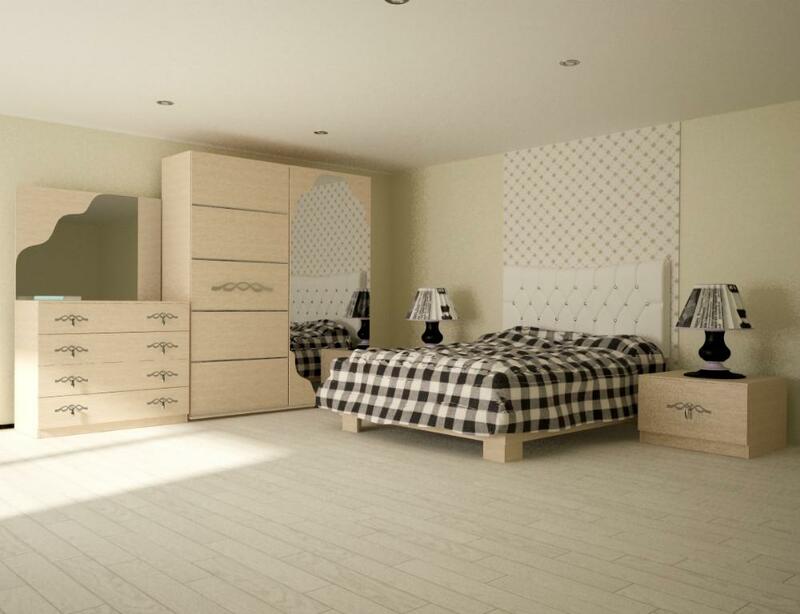 Bedroom "Arina" from the factory "Mizan". A strict classical design will create a favorable atmosphere for sleep, saturates the room with warmth, beauty and cozy comfort. The case and the facade of the headset is made of high quality, laminated chipboard 16 mm. Available colors: white matt, white gloss, oak Sonoma truffle, milk oak, dark wenge, walnut, alder, apple tree.